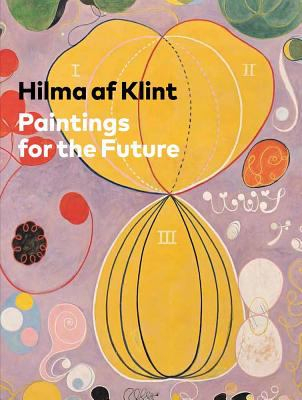 Hilma Af Klint : Paintings For The Future - ubiq bookshop: the best place to buy books! Hilma af Klint's daring abstractions exert a mystical magnetism. When Swedish artist Hilma af Klint died in 1944 at the age of 81, she left behind more than 1,000 paintings and works on paper that she had kept largely private during her lifetime. Believing the world was not yet ready for her art, she stipulated that it should remain unseen for another 20 years. But only in recent decades has the public had a chance to reckon with af Klint's radically abstract painting practice--one which predates the work of Vasily Kandinsky and other artists widely considered trailblazers of modernist abstraction. Her boldly colorful works, many of them large-scale, reflect an ambitious, spiritually informed attempt to chart an invisible, totalizing world order through a synthesis of natural and geometric forms, textual elements and esoteric symbolism. Accompanying the first major survey exhibition of the artist's work in the United States, Hilma af Klint: Paintings for the Futurere presents her groundbreaking painting series while expanding recent scholarship to present the fullest picture yet of her life and art. Essays explore the social, intellectual and artistic context of af Klint's 1906 break with figuration and her subsequent development, placing her in the context of Swedish modernism and folk art traditions, contemporary scientific discoveries, and spiritualist and occult movements. A roundtable discussion among contemporary artists, scholars and curators considers af Klint's sources and relevance to art in the 21st century. The volume also delves into her unrealized plans for a spiral-shaped temple in which to display her art -- a wish that finds a fortuitous answer in the Guggenheim Museum's rotunda, the site of the exhibition.